Available now in paperback and eBook from Amazon. When DI Michael Bosco strangles a suspected child killer into a coma, he is expelled from the Gardaí. Now lacking a purpose in life, Bosco gets a job offer he can’t refuse from a supposedly retired gang boss. It’s not long before he becomes the main suspect in a series of vigilante murders and survives an attempted hit. Under siege and emboldened, Bosco has some morally ambiguous choices to make, like whether to play by the rules or take the law into his own hands. 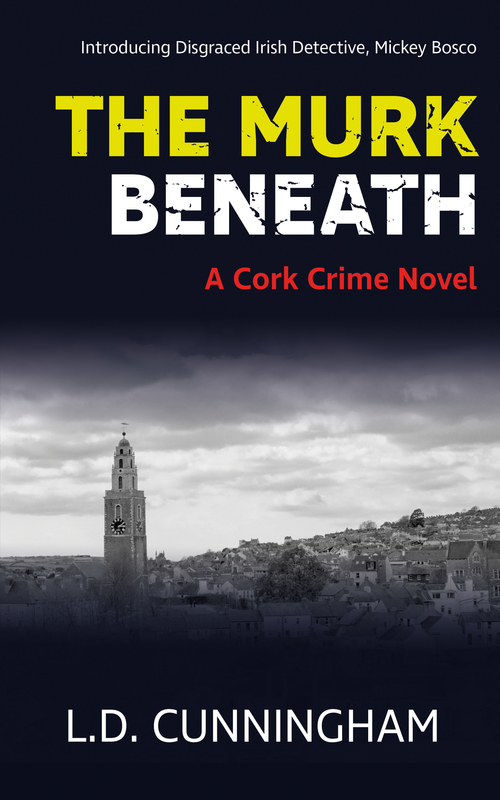 Prepare to meet some unsavoury characters from the streets of Cork – a fixer who chops off a finger if you welsh on a debt; a corrupt Garda officer; a mercenary who wields a machete like it was just a toothpick; a bagman who is quick to collect debt, but slow to put his hand in his own pocket. 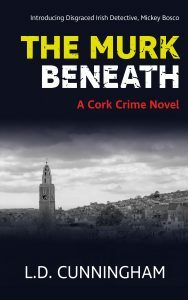 At times introspective and other times thrilling, The Murk Beneath features a liberal dose of wry Irish humour and the kind of cynicism and fatalism you would expect of a literary noir novel.